- WWF Survivor Series '98 (November 15) = Gill lost in the first round of the WWF World Title Tournament to Mankind. Rocky Maivia won the tournament. - WWF Rock Bottom (December 13, '98) = In a dark match, Gill retained the WWF Light Heavyweight Title, defeating Matt Hardy. - WWF Royal Rumble '99 (January 24) = Gillberg competed in the Royal Rumble, which was won by Vince McMahon. - WWF Wrestlemania XV (March 28, '99) = In a dark match, Gillberg competed in the "Tag-Team Contendership Battle Royal", which was won by D-Lo Brown & Test. 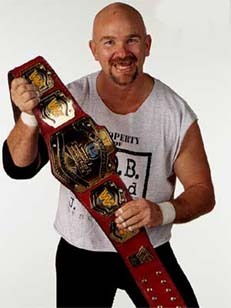 - WWF No Mercy '99 (May 16) = Gillberg was beaten by Tiger Ali Singh.